Self control and resisting temptation is a difficult task for many of us. For kids, it can be quite strenuous. Just place a bowl of candy in front of a few unsupervised children and see what happens. The ability to fight urges can be overpowering! For some kids, however, the struggle with impulses is more than the typical developmental growth that all of us go through as we age and become more in control of our urges. Some kids lack the ability to identify appropriate responses, problem solve, attend, or self-monitor themselves in activities and tasks. These children struggle with executive functioning skills and impulse control is one of those areas. They may jump out of their seat in the classroom, talk out of turn, make poor choices, or not even realize that they are being impulsive. Does any of this sound familiar? Try the activities below if you are wondering how to help kids learn impulse control. These activities are part of our series on executive functioning skills. You can read more about what executive functioning skills look like in child development. When it comes to impulse control, many of the other executive function skills play a part in impulsiveness. How can a child control their urges if they can not attend, control emotions, plan, prioritize, utilize their working memory, strategize, persist and problem solve through struggles, and exhibit cognitive flexibility? You can see how all of these skills work together! 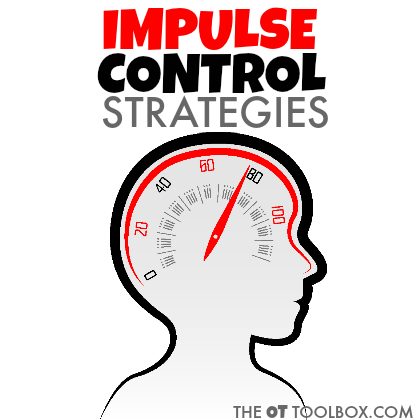 We've shared a few strategies to help with impulse control here on the site, and there will be more to come. I wanted to put all of these ideas into one place for you to easily access them. Try to work on the ability to resist urges and improve impulse control with some of these techniques. Be sure to work through some of the other ideas outlined under executive functioning above. Attention and Organization activities ideas are good places to start. Try some of these self-reflection activities for kids. 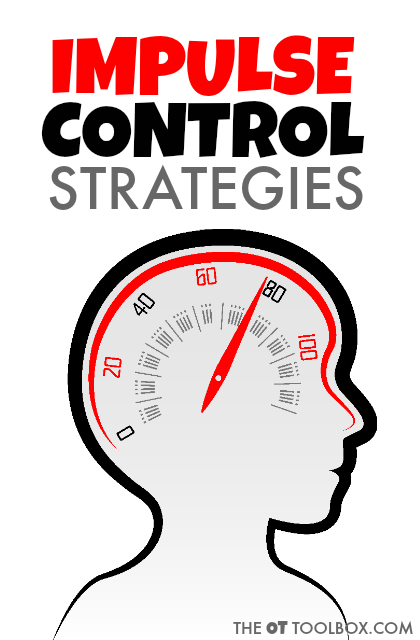 MORE Strategies to help with Impulse Control in the Classroom - This post has a FREE printable sheet of impulse control strategies. If impulse control is an area of difficulty for a child you know or work with, you know the struggle that impacts every area of their lives. These easy ways to improve impulse control will be a big help. The Impulse Control Journal may be just the tool you need to help kids identify their daily challenges with impulses. Children who struggle with working memory will benefit from The Impulse Control Journal.